The Ford Expedition is completely redesigned for 2018. It’s loaded with generous space, connectivity and smart new technology. If the standard Expedition isn’t big enough, you can step up to the long-wheelbase, Max model. It’s the SUV Hawthorne residents choose when they need extended seating and massive cargo space. Modern lines and on-point styling ensure the Ford Expedition Max won’t get lost in the crowd. The large SUV is striking from every angle. It features a bold grille and an all-aluminum body for an aggressive, yet luxurious look. Inside, the Expedition Max is nearly a foot longer than the standard Expedition. It features 8-passenger seating and a large cargo area with an advanced Cargo Management System. 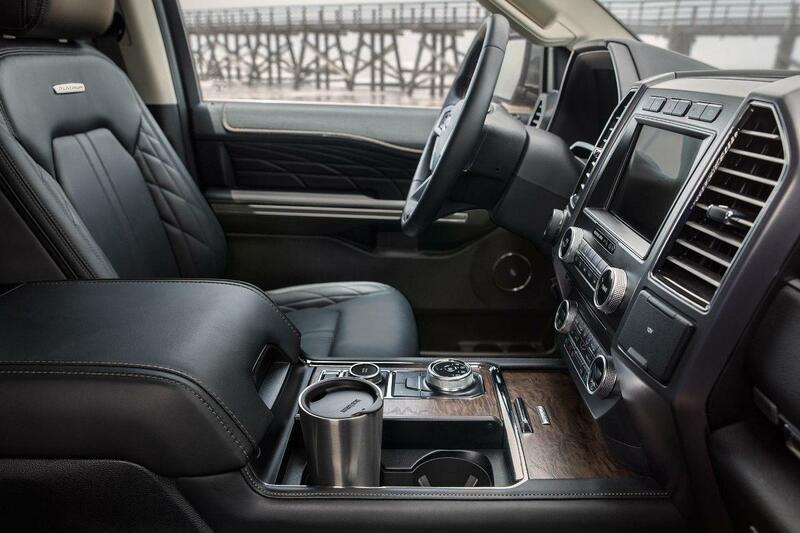 Premium features abound, such as available leather-trimmed heated and ventilated seats. There’s also active noise control and an optional Panoramic Vista Roof. The Expedition Max is offered in XLT, Limited and Platinum models. Technology keeps everyone happy, which makes it incredibly important in a family SUV. The Expedition Max is loaded with advanced features that will make both parents and children smile. The list includes the SYNC3 infotainment system (with Appel CarPlay and Android Auto), wireless charging and six USB ports. To keep the kids occupied, there’s a dual-headrest rear-seat entertainment system. You’ll also never have to bum Wi-Fi from a coffee shop again, thanks to the Expedition’s 4G LTE Wi-Fi hotspot, powered by AT&T. The Ford Expedition Max was built to work hard and play harder. Under the hood you’ll find a twin-turbocharged V6 putting out 375 hp and 470 lb ft. This stout engine is paired with an advanced 10-speed automatic transmission. When properly equipped, the Ford Expedition Max is good for up to 9,300 lbs of towing capacity. There’s also an available Pro Trailer Backup Assist that helps you steer a trailer with just the turn of a knob. Rear-wheel drive is standard, with optional four-wheel drive available. For extreme adventure, the Expedition Max can be had with the FX4 off-road package. There’s also a Terrain Management System and Hill Start Assist/Decent Control. An electronic limited-slip rear differential improves acceleration on unstable road surfaces. An independent rear suspension and continuously controlled dampening system provide a smooth ride. No matter if you're traveling off-road or staying on the pavement. Keeping your family safe is your primary concern – and it’s Ford’s, too. That’s why the Expedition Max comes with a wide range of advanced safety features. The list includes pre-collision assist with pedestrian detection, BLIS Blind Spot Information System with cross-traffic alert, enhanced active park assist, lane-keeping assist and adaptive cruise control. Everything you need to stay safe and in control. The 2018 Ford Expedition Max is large and in charge. When residents are looking for 2018 Ford Expedition Max for Sale in Hawthorne, they visit South Bay Ford Commercial. 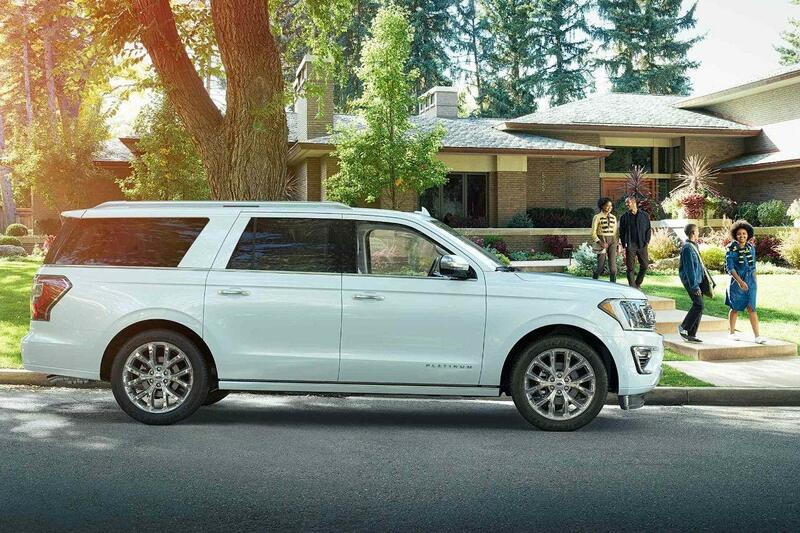 We have a large lineup of Ford Expedition Max models ready for your next family adventure. Stop by today to test drive the all-new 2018 Ford Expedition Max.